The Big Fat Prize − 2016 - Build the Brand. Protect the Brand. In each of the last five years, R&R Partners has awarded what we affectionately call The Big Fat Prize. 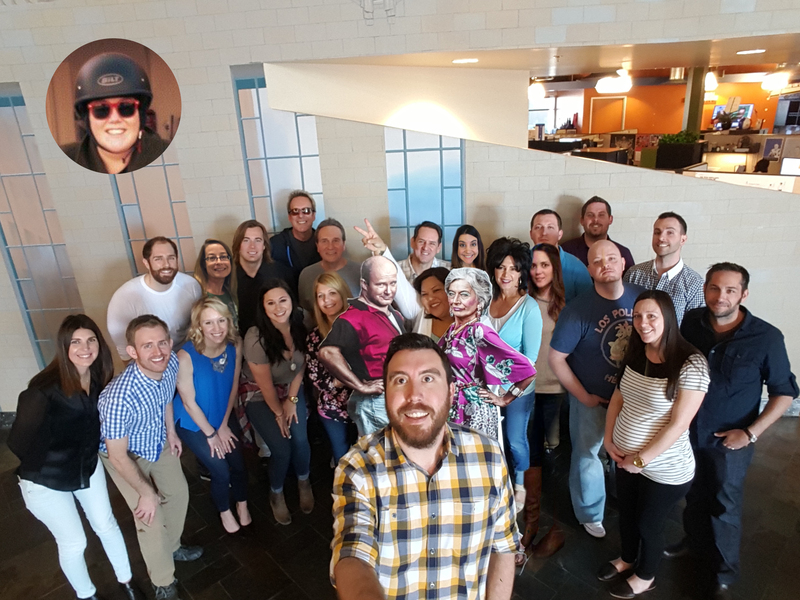 It is an annual cash award presented to the team that created the campaign or initiative that most exemplified our philosophy of building and protecting our clients’ brands. Winning requires excellence in strategic insight and thinking, the quality of the work itself and, of course, results. The rules are simple. Entries are limited to one 8 ½ x 11 page. No fewer than three, but no more than five, finalists are chosen to present to the judges. Presentations have one rule – they cannot exceed 30 minutes. The judges are president and chief brand officer Mary Ann Mele, SVP/strategic consulting David Ellis and me. This year, seven entries were submitted, one of them delivered by Brandi Skrtich’s dog Buddy (a very good dog). Three were ultimately selected as finalists. And so on Wednesday, February 17, teams representing the Southern Nevada Water Authority’s Nothing’s Sexier Than Saving Water Compliance Campaign, Boeing’s new corporate website, and the Clark County Animal Foundation’s In-Fur-mercial campaign brought their best to the judges in a series of three 30-minute presentations. Then the hard work began. Never before in its Big Fat history has it been more difficult for the judges to choose a Big Fat Prize winner. For the SNWA, it was a campaign that overcame some early obstacles to ultimately create $14 million in earned media (40 times the media spend) and, most importantly, motivate Southern Nevadans to save more than 1.5 billion gallons of water in the span of just two weeks. Or the Boeing team, who was faced with the daunting task of consolidating 22 separate sites and more than 11,000 pages of content into one cohesive site of fewer than 1,000 pages with fully functional desktop, tablet and mobile versions. Finally, there was the Animal Foundation team, who tackled their pro bono project with virtually no budget whatsoever and managed to turn the fortunes of the client around with some of the most unexpected and inspired creative seen in that or any other category for quite some time. In fact, their use of the time-honored infomercial format to promote pet adoptions was so spot-on, they actually won a special award from the Electronic Retailing Association (basically, the infomercial industry) in a competition they didn’t even enter. In truth, any of the finalists would have made a very appropriate Big Fat Prize winner. All three presentations were excellently done, every entry produced results that R&R will proudly promote well into the future, and the work at the center of each was strategically based and incredibly smart. But the rules say we had to pick a winner, and after three days of thought and discussion, the SNWA finished ahead by the narrowest of margins. It was the toughest and closest call that the Big Fat judges have ever had to make.